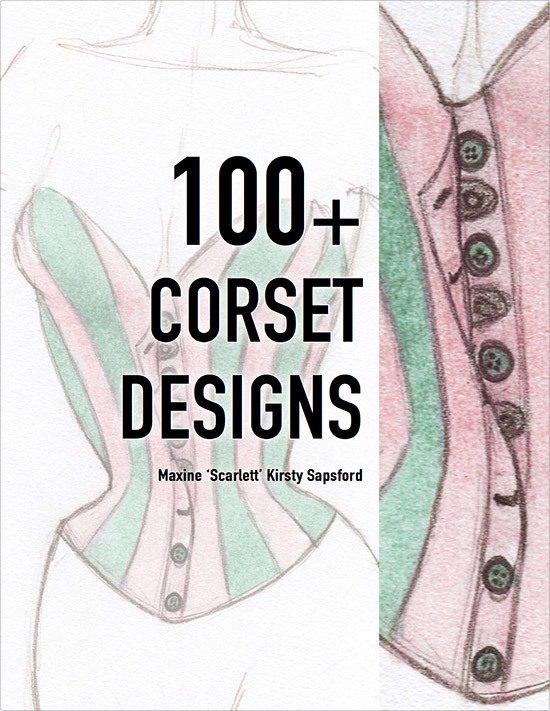 The 100+ Corset Designs Book Launch Offer! The Launch Has Begun! 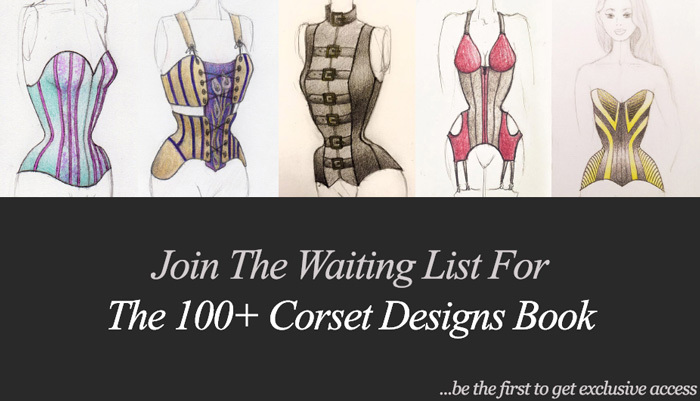 The 100+ Corset Designs Release Date is the 8th Sept – But You Can Get Early Access Below! 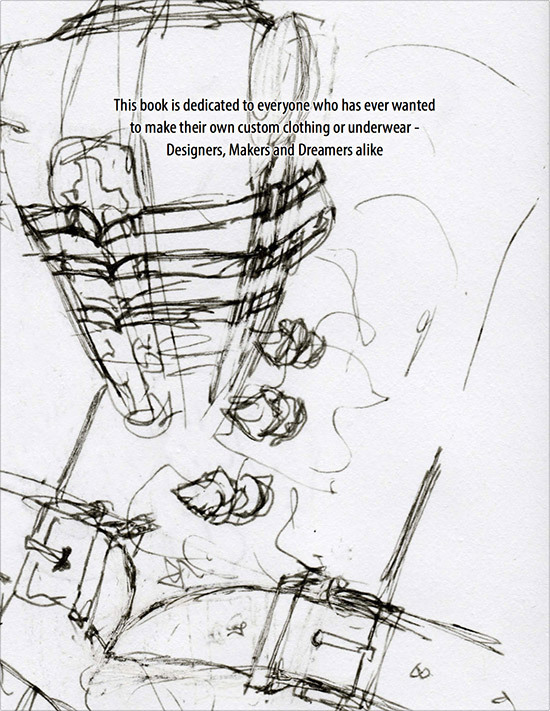 So the book is finally on it’s way, it will be in high res PDF form and boasts over 125 designs! It will be available from the 8th September but if you want to get it a whole week early as well as other benefits, join the VIP mailing list for the launch! Scroll up and sign up above. There has never been a better time to learn corsetry. More materials for would be corset makers are available than ever before. Online stores ready to sell to a global market, Learning materials at their most abundant with books, video and even in-person tuition being offered by more and more makers. 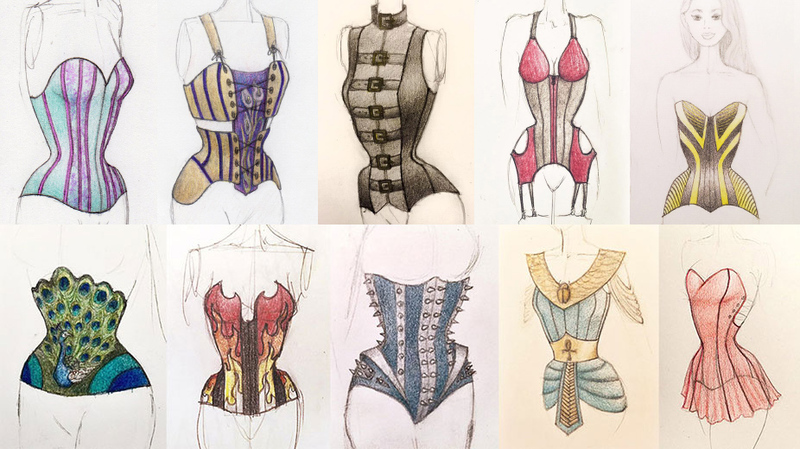 People of all skill levels are finding corsetry accessible and even easy to learn because of the quality of these new resources. Yet beyond the construction techniques and technical aspects of corset making, there is precious little available on the creative side of the art of corsetry. Inspiration for embellishing, altering design aspects or even picking colors and creating a look and feel all your own are pretty thin on the ground. This need to explore the creative possibilities of corsetry and inspire others to do the same was the basis for my 100 daily corset designs challenge. This self imposed challenge involved coming up with a completely new corset illustration every day for 100 days and sharing it with the community of makers through social media. 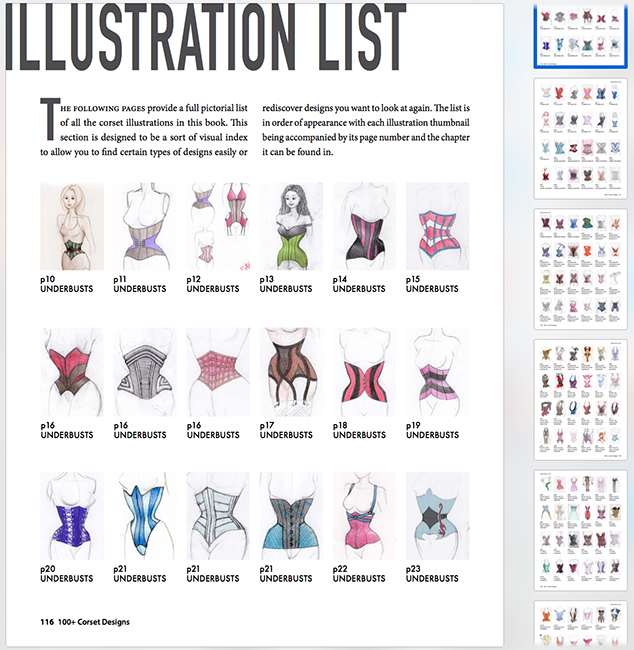 The response was so positive and they were so sorely missed that I have rounded them all up, some of them reworked, along with many new designs including my Chelsea Flower Show collection and categorized them here for you in high resolution as the 100+ Corset Designs Art book. Organized into chapters to make it easier navigate, the book includes Underbusts, Overbusts, Lace Embellishments, Elaborate Designs And Surfaces, Over The Shoulder Designs, Body Suits and Corset Dresses, Cupped Corsets and Historically Inspired. Then the last shorter chapter entitled Chelsea Flower Show Designs includes an introduction on how to find inspiration anywhere and includes designs I created from studying flowers from the show. Some designs belong in more than one category so there is an Illustrations List at the back to make finding what you’re looking for even easier. 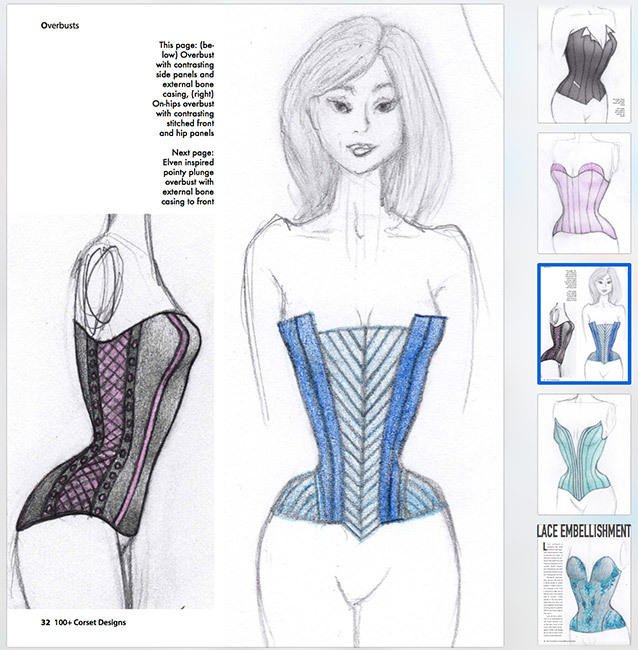 An Update On The Daily Corset Pattern Sketches – Soon To Become An Art Book! 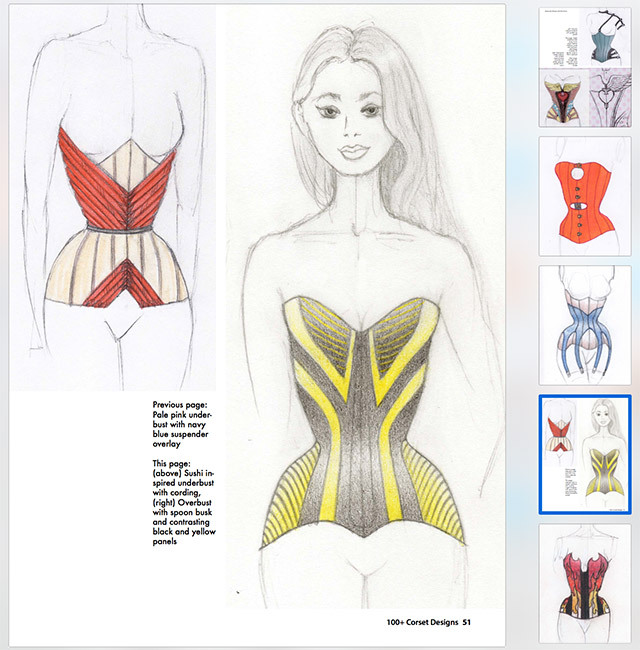 The 100 Days Of Corset Patterns Challenge Is Over! Scarlett,. Is it an actual book I will get in the mail? And do we get the patterns? Hi Betty thanks for letting me know, it’s working now. Technology really isn’t my strong point! Much more at home behind my sewing machine! So sorry I missed the 100 days as you posted them! Cannot wait for the book. Absolutely in love with the peacock design and the corset with flames! Hopefully I won’t keep you waiting too long for the book, though these things always end up taking longer than expected!